Rwanda has shifted to a higher gear and is now speeding to entrench itself as a growing tourism and investment destination within the region. Rising from the ashes of the devastating 1994 genocide, the nation today is making headlines for all the right reasons, like establishing a domestic helicopter services company. The country is not only courting regional and international businesses to open up shop within its borders, but also is actively supporting local businesses to grow and expand. 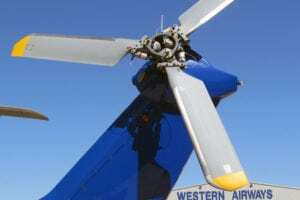 One of the home-grown companies that has over the period benefited from this policy is Akagera Aviation, the first and only helicopter company operating in Rwanda. Founded in 2004, the company has grown in leaps and bounds thanks to a favorable business climate and a vision to offer competitive aviation services locally with an eye for the region. 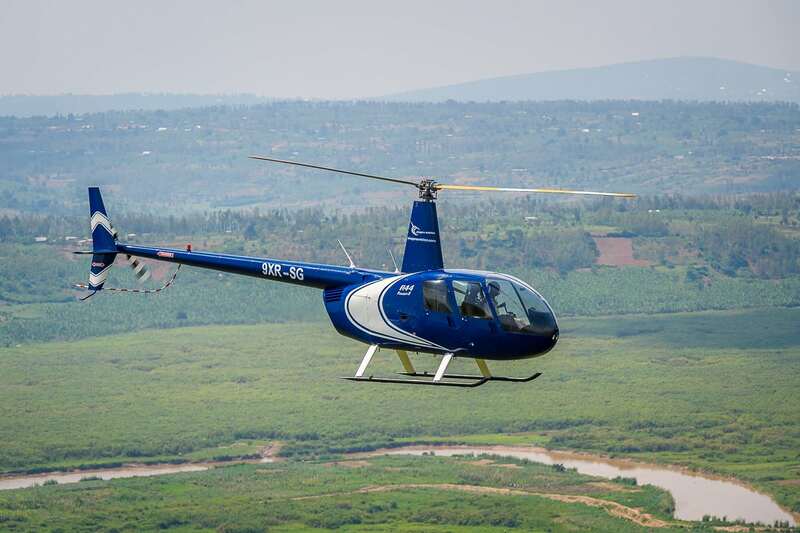 Akagera Managing Director Patrick Nkulikiyimfura noted that the company was formed to plug a gap in Rwanda’s aviation sector, as there was no existing helicopter company that would offer flight services and allied services before then. RwandaAir expects to need an additional 200 pilots within the next five years, and Akagera wants to train the majority of them, he said. “Moreover, when we look across the region, we witness a growing need for more pilots as our neighbors in Uganda and Tanzania seek to operate their own national carriers,” Nkulikiyimfura added. Akagera since 2010 has diversified its portfolio of service offerings from flight services and pilot training to include aerial survey, aerial photography and medical evacuations. It is currently the only Rwandan-based company that is offering these services. Joseph Ndayishimye, the company’s director of flight operations, noted there are currently tremendous opportunities for growth in the nascent aviation sector in Rwanda and the larger Central Africa region, especially in training and maintenance services. In recent years, Akagera has boosted its roster of Rwandan instructors where in the past it was almost entirely reliant on instructors from South Africa and elsewhere, according to Ndayishimye. 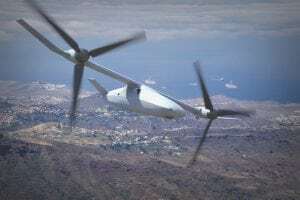 It is now the only accredited helicopter training facility in the entire East and Central Africa region, he said. The school’s first student pilot graduated in 2011. It has since trained 50 more helicopter pilots. Currently, 30 pilots are in training — 10 affiliated with the Rwanda Air Force and 20 with RwandaAir, he said. Akagera Aviation operates nine helicopters, three of which were acquired in 2018. 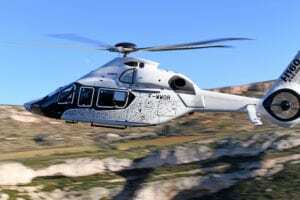 These include five Robinson R44 Raven IIs and three Leonardo helicopters: an AW109, two AW119s and an AW139. 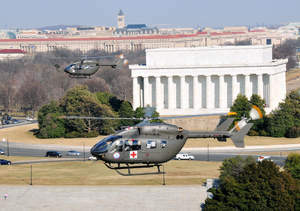 The company is using the R44 for training and the Leonardos mostly for VIP transportation and medical evacuations. “The Augustas are excellent aircraft that we have added to our growing fleet. They are, however, more expensive to maintain and operate as compared to the Robinson, but are serving us very well when it comes to VIP transportation within Rwanda, especially in the ever-expanding tourism industry,” said Ndayishimye. Rwanda has over the last couple of years shifted its tourism focus toward attracting high-end tourists who tend to spend more during their travels. With costs starting from $5,000 per flight hour, the Leonardo fleet underlines Rwanda’s vision for a high-end tourism destination, explained Ndayishimye. 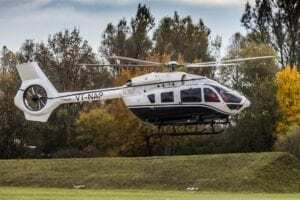 The newly acquired Leonardo 119s will also be used for emergency air evacuations within and outside Rwanda. This is a new service that the company has introduced to tap into the growing tourism industry in Rwanda and the region. “As Rwanda sits on a high-altitude level, we found it worthwhile to offer this service to local and regional tour operators whose clients might need to be evacuated due to the high altitude while tracking mountain gorillas in the Volcanoes National Park,” said Nkulikiyimfura. To underline the importance that the Rwandan government has placed on the aviation sector, it has set up a holding company that brings together players from the tourism, aviation and logistics industries of which RwandAir and Akagera Aviation are a part. This falls in line with the government’s vision of transforming Kigali into a logistical hub within the Central Africa region. The government is constructing a new international airport about five nautical miles from the current Kigali International Airport. Denis Gathanju is a freelance aviation journalist based in Nairobi, Kenya, and Kigali, Rwanda.